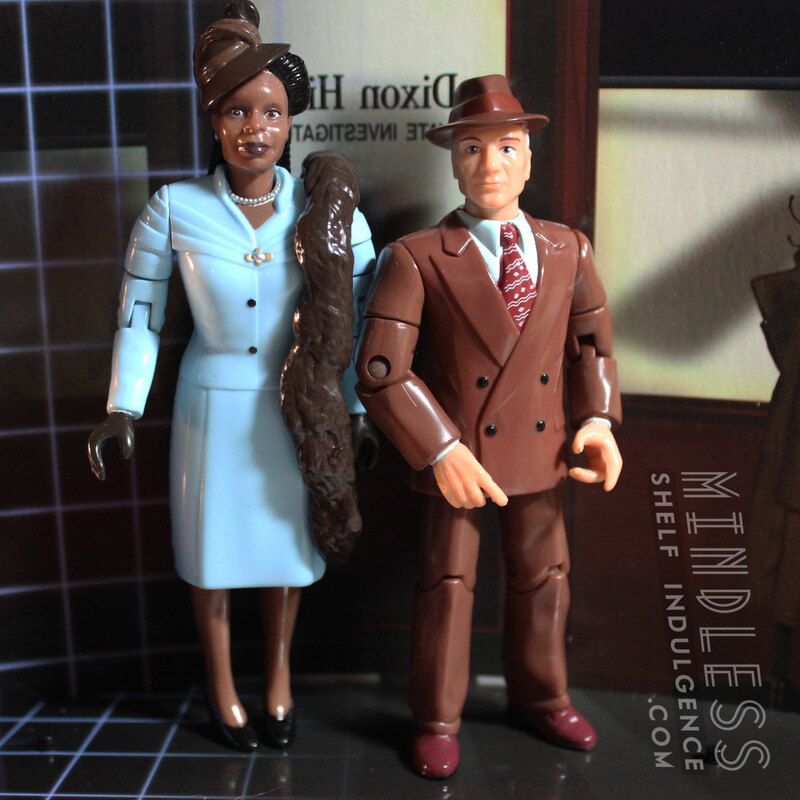 Hugh includes grey accessories, and a red claw Borg logo base with the words ‘Hugh Borg‘ on it. 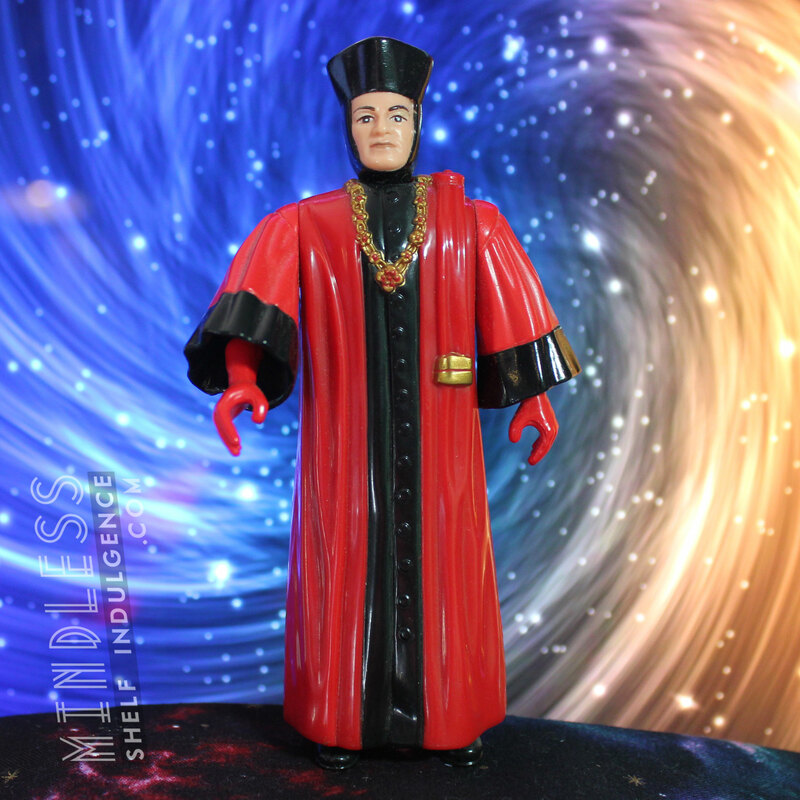 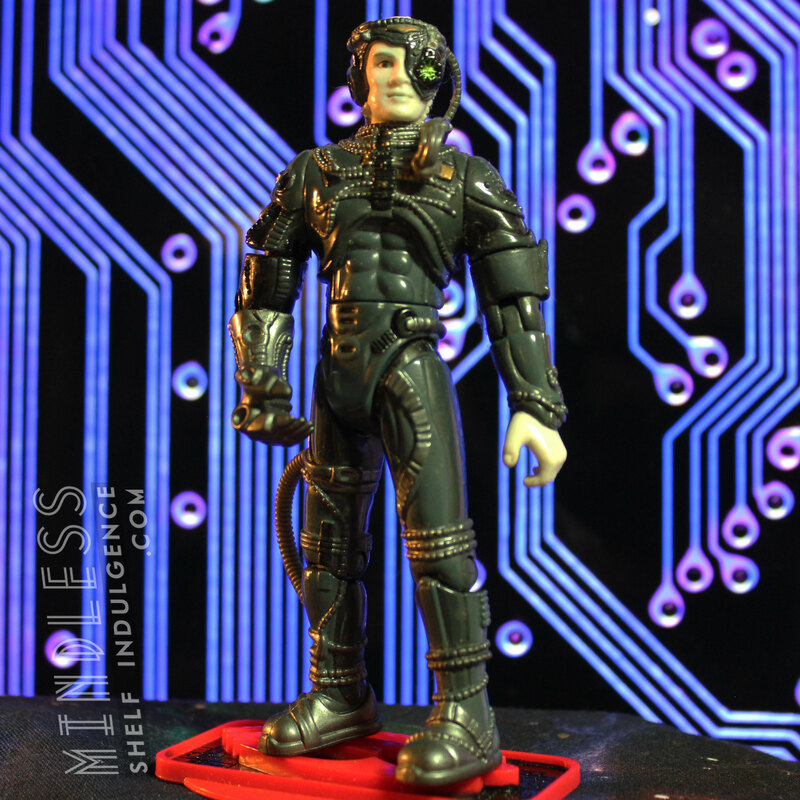 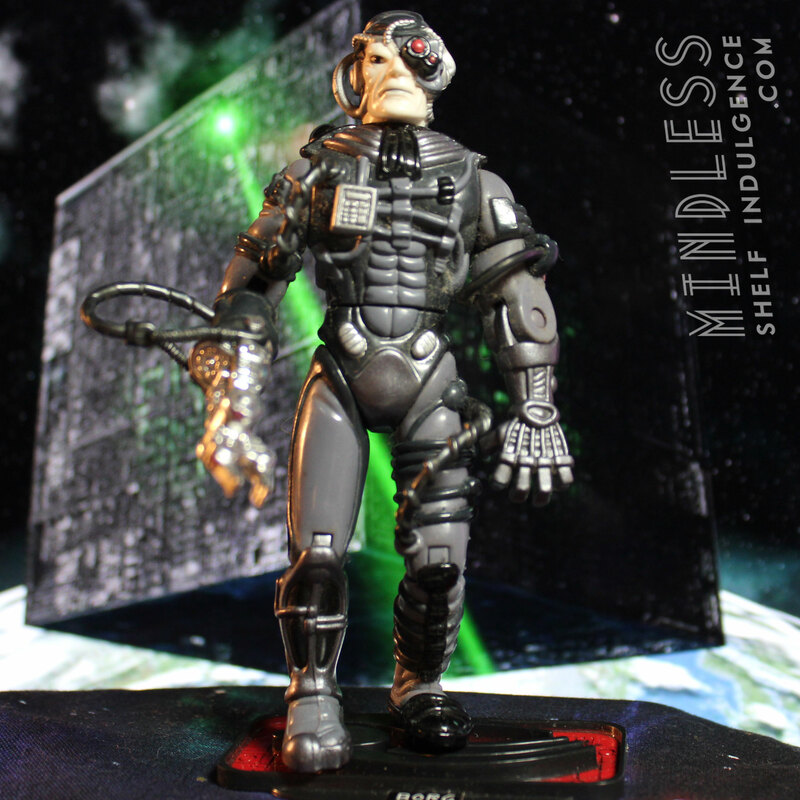 There are multiple Borg figures that are extremely similar; this one has a friendly face and an uncovered head. 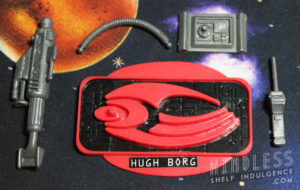 Hugh’s first appearance, in the episode ‘I, Borg’, had massive ramifications for the Borg; Picard declined to send him back to the Collective with a virus that would cripple the Borg, but his newfound individuality sent his entire ship into disarray, and into the arms of Data’s evil brother, Lore.